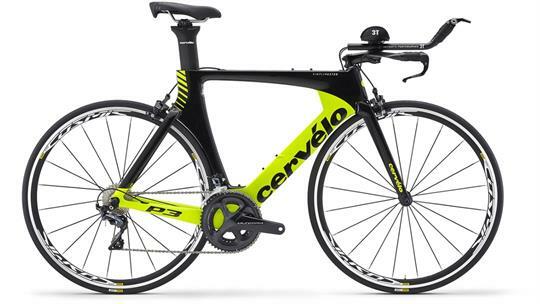 The Cervélo P3 has for a number of years now been our best-selling triathlon and time trial bike, the top choice for every discipline from local 10-mile TT to sprint triathlon to Ironman; and for every athlete from newbie triathlete to Kona veteran. For us it's the blend of category-leading aerodynamics, a geometry that allows riders of all shapes and sizes to achieve a comfortable position, and the simplicity of its non-proprietary components allowing stress-free packing and travel that makes it such a surefire choice. Its pedigree on the pro circuit - the P3 has more professional wins than any other bike - adds to the psychological benefit of riding a bike that will allow you to reach your full potential. 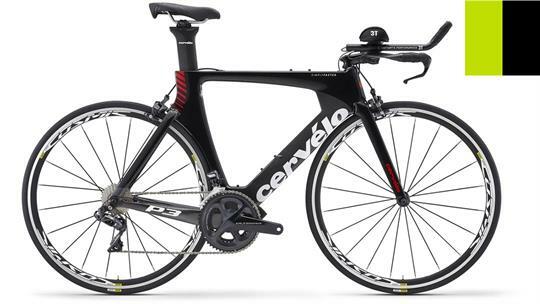 Cervélo's P-Series is known for advanced aero features, and the P3 delivers on their key goal of making you faster. The P3 features the Dropped Downtube, Shielding Seatstays and Extended Seat-tube Cutout, giving the frame the distinctive look – and more distinctive feel – of a machine ready to cut through the wind. Headset: FSA IS2 1-1/8 X 1-1/8"